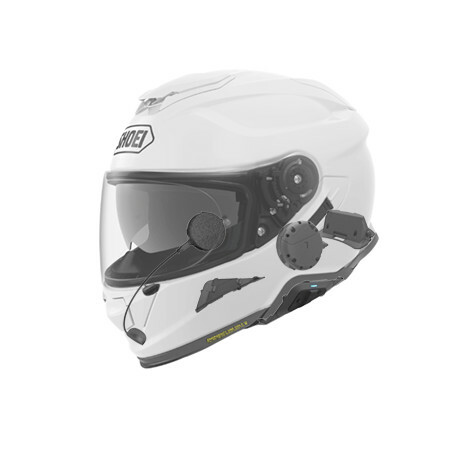 Intercom Sena SRL2 Shoei GT-Air 2 som gör det möjligt för 8 förare att ansluta sig och få en räckvidd på upp 1,6 km. Vi bjuder på montering! Ett modernt intercom system som är mycket enkelt att montera, Du monterar det själv på bara några minuter, intercomet är utformat för att passa din SHOEI GT-air II. Självklart gör vi detta åt dig utan extra kostnad om Du så önskar. SRL är integrerat i hjälmen och är lättnavigerad med bara 3 knappar. Ni kan vara upp till 8 förare och lyssna på musik samt GPS. Du kan lätt koppla upp din Sena till en smartphone appe där du kan kontrollera din enhet samt göra alla inställningar. Ytterligare en feature är att du kan koppla upp dig till ”SENA Ride connect App” där du kan samtala genom mobilnätet med flera förare. - Bluetooth-intercom med upp till 1,6 kilometer i räckvidd. 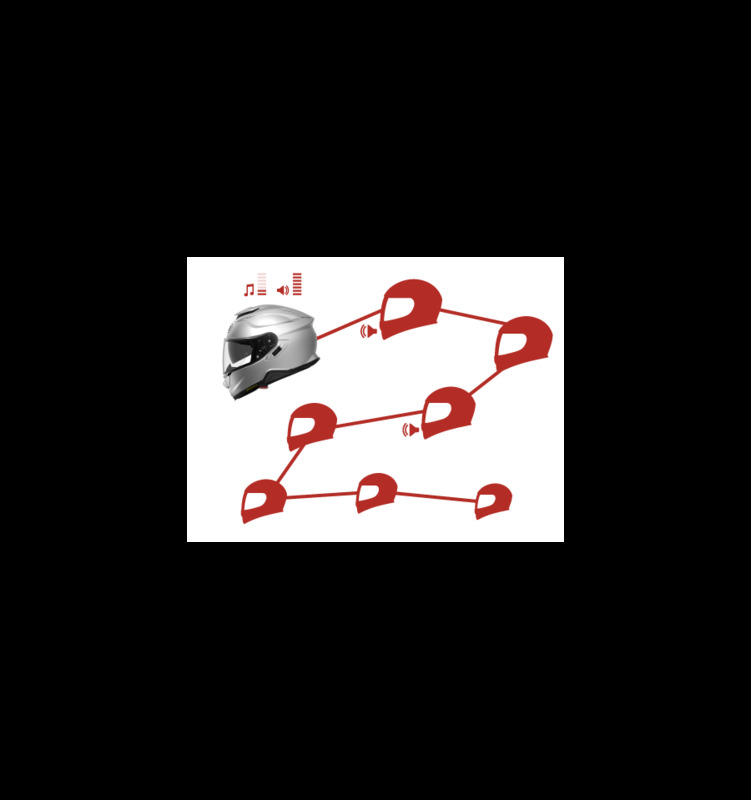 The SRL2 Bluetooth® communication system was jointly created by Sena and SHOEI specifically for the new SHOEI GT-Air II helmet. 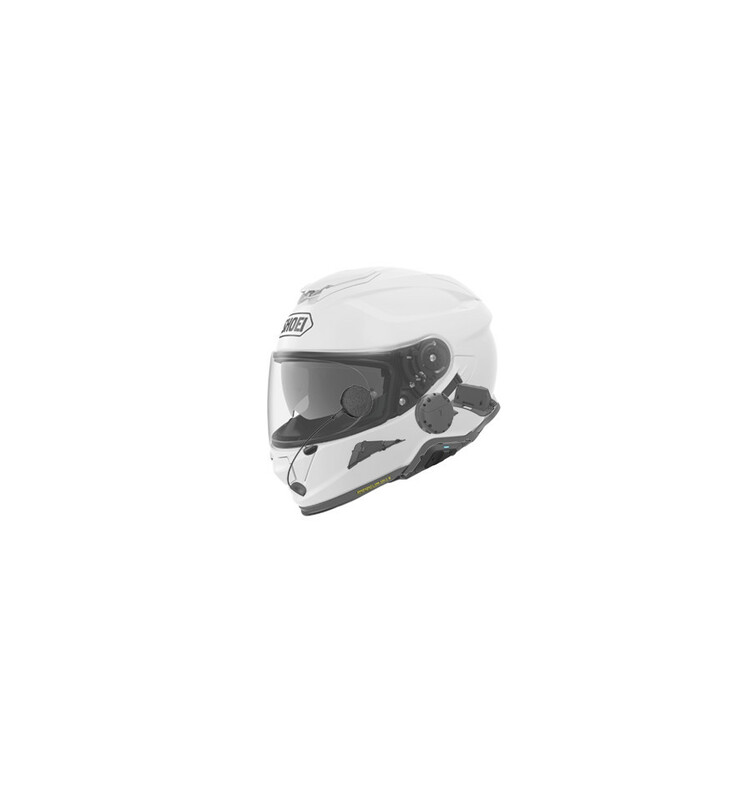 This low-profile device is essentially undetectable from the outside of the helmet to give you a sleek look. 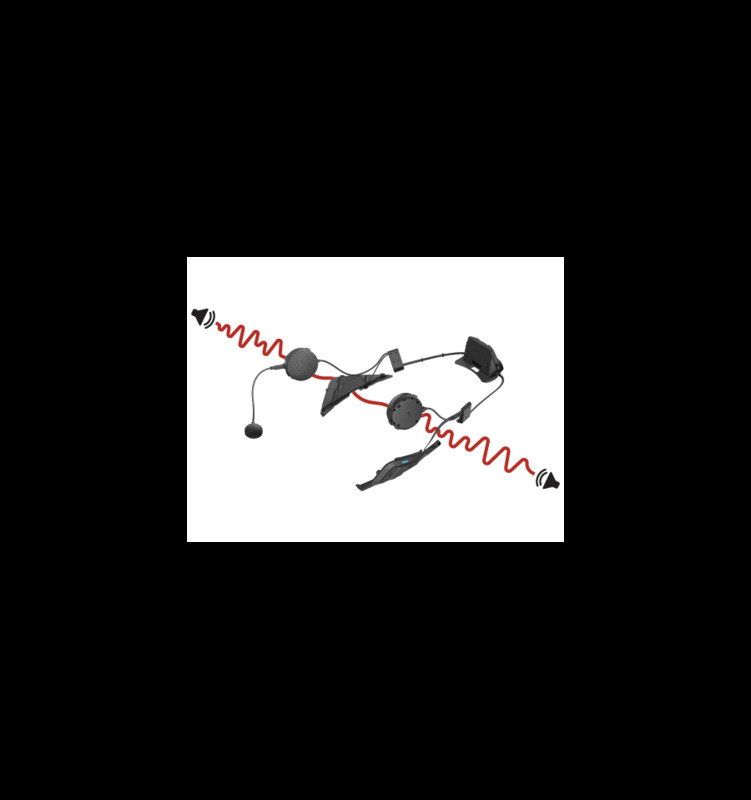 The SRL2 is built with similar functions to our top-selling 20S, has simple 3-button control and comes with updated, detachable microphone options. Pair to your smartphone so you can listen to music, hear GPS directions, talk on the phone and more. Constructed with a dual Bluetooth chips, the SRL2 allows you to communicate with up to 7 other riders over 1.6 km (1 mile) in open terrain. Audio Multitasking™ allows you to simultaneously listen to music and talk with other riders via intercom. The intelligent design will automatically decrease the music volume when someone begins speaking, and then increase again once you have ended your conversation. The SRL2 comes with all the functions you need to have the smoothest ride including group intercom, voice commands and more. Universal Intercom™ makes the SRL2 compatible with other non-Sena Bluetooth communication systems. The SRL2 is also built with Advanced Noise Control™, so whether you're talking over the intercom or taking a phone call, the environmental wind and road noise doesn't interfere with the audio. 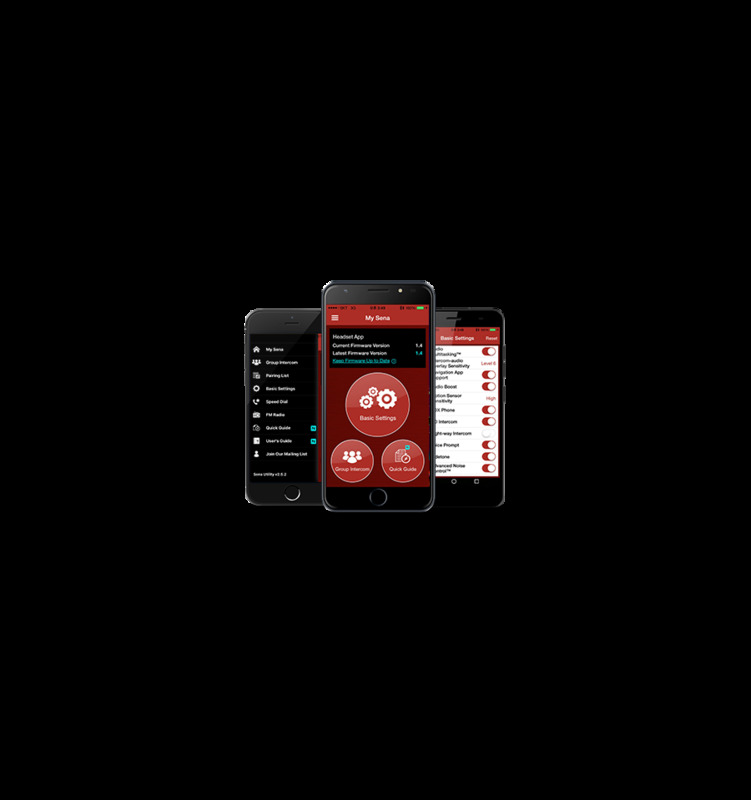 Link your SRL2 SHOEI communication system to the Sena Smartphone App (for iPhone and Android) to configure device settings and access our Quick Start Guide at the click of a button. The SRL2 also connects to the Sena RideConnected app, so you can easily talk over intercom with a virtually limitless number of riders over an infinite range while you are connected to a mobile network.